← Bits: Dinosaur Park Edition. 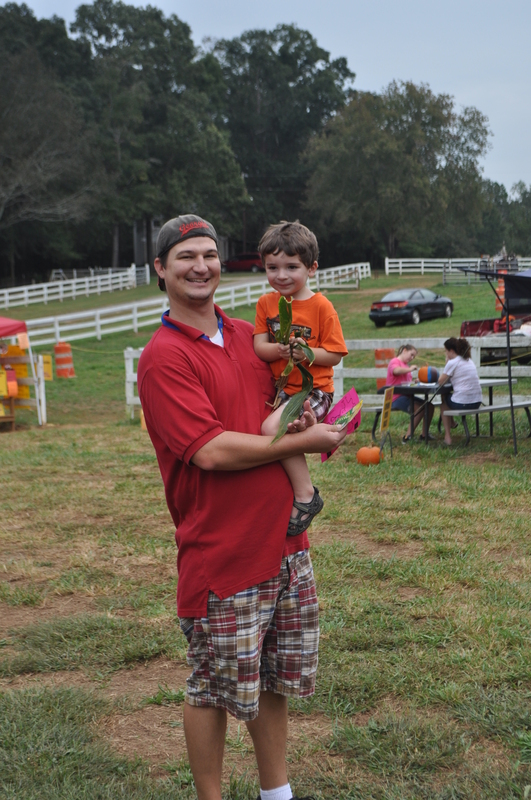 This weekend Tom and I headed to my sister’s area to hang out with them at a fall festival and a corn maze. We had THE. BEST. TIME. There is no season I love more than fall and this weekend was exactly why. And spending time *just* my boy was an extra special treat and I loved every minute. 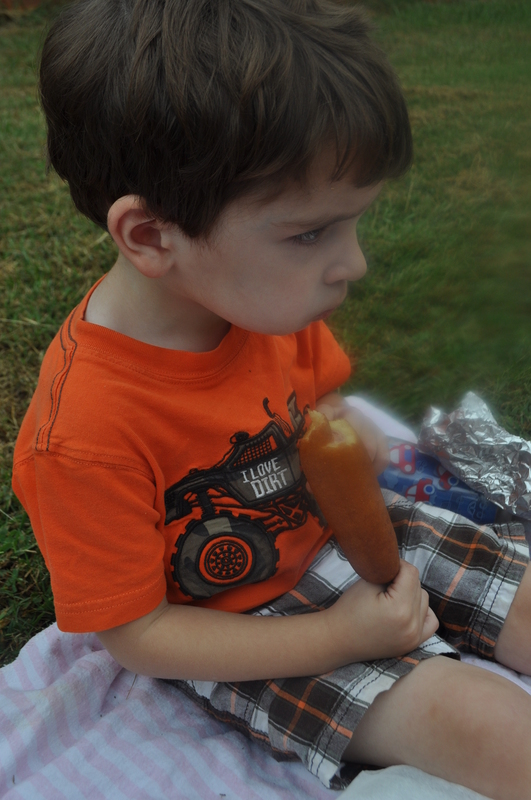 Started the day off right with a corn dog. 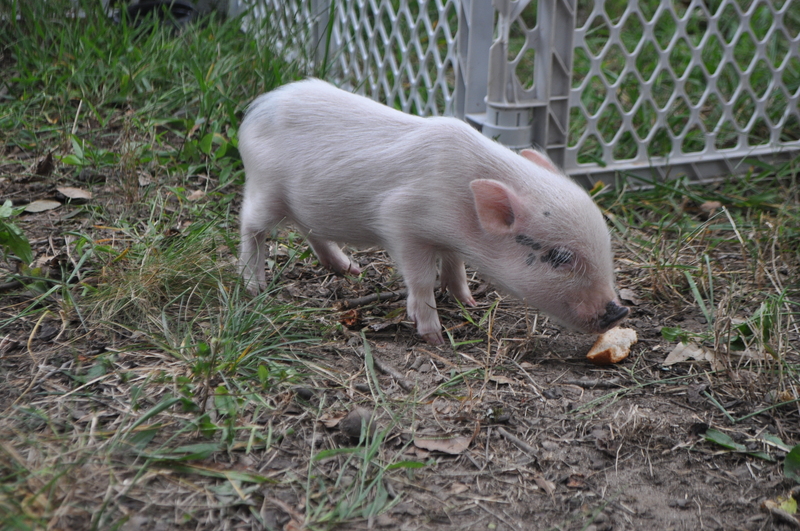 See this baby pig? I HELD IT! It was awesome. 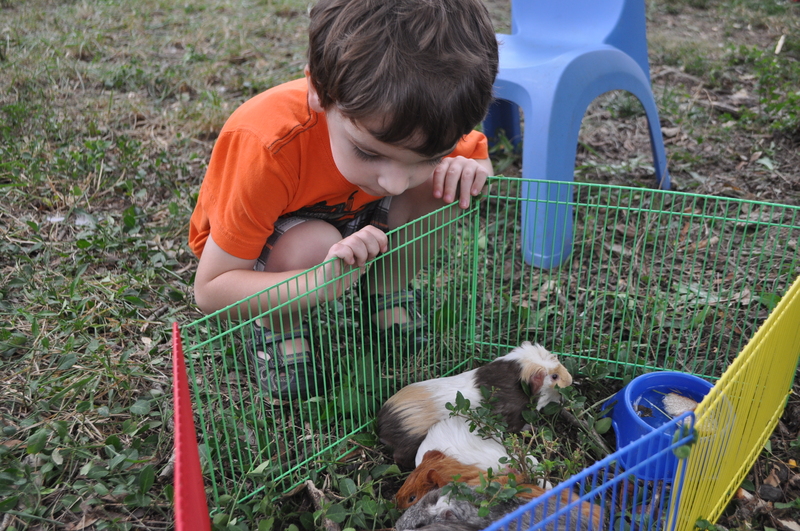 Tom checking out the guinea pigs. A guy turned his riding lawnmower into a “train engine” and built cars to pull behind it. Tom loved it. A lot. 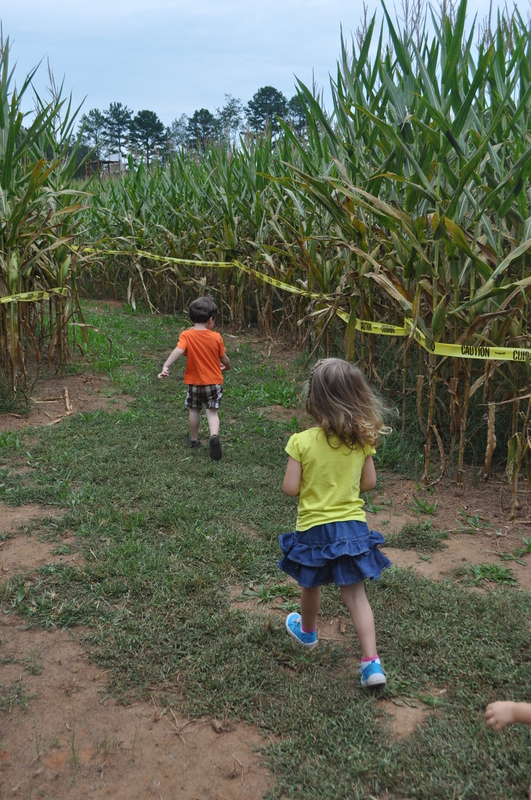 Runnin’ in the corn maze. I bet you’re thinking I should be leading and not following, but they had as good a chance as finding the way out as I did. 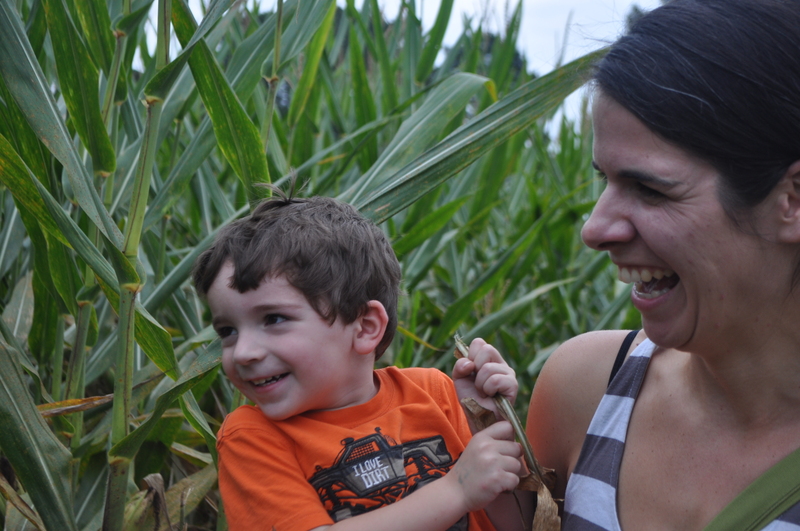 Corn mazes are not my friend — my brother-in-law Adam is though, so…I made it out in time to blog this. 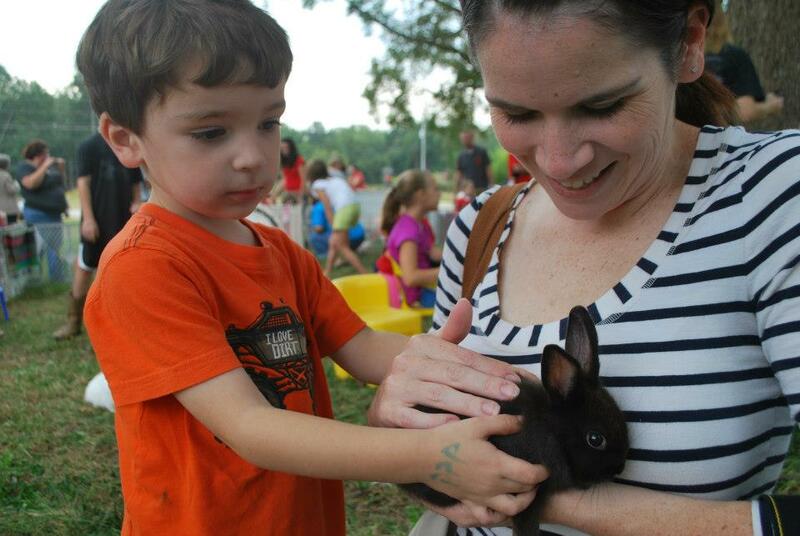 My sister and Gus and Adam and friend, Amanda. 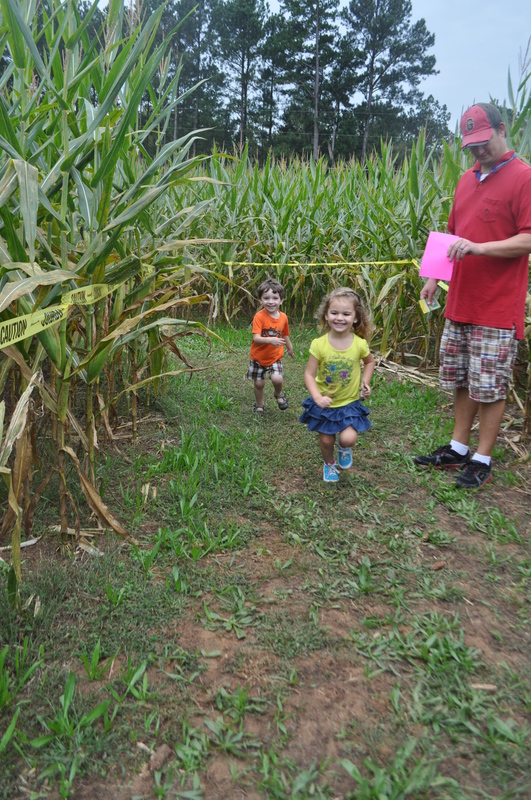 All successful corn maze finishers. Can you guess what they’re doing? 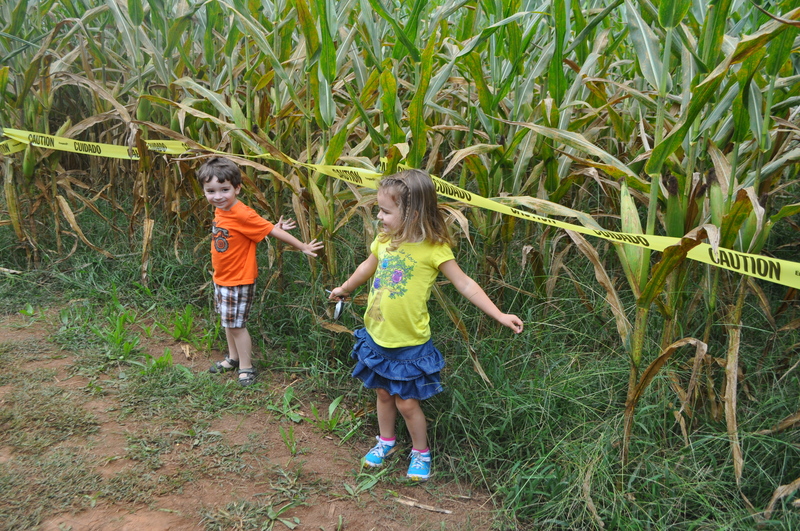 Did you guess “being scarecrows”? You’re right! Uncle Adam carried Tom the last bit of the maze after I’d carried him for a while and my arm was falling off. Adam is my hero. 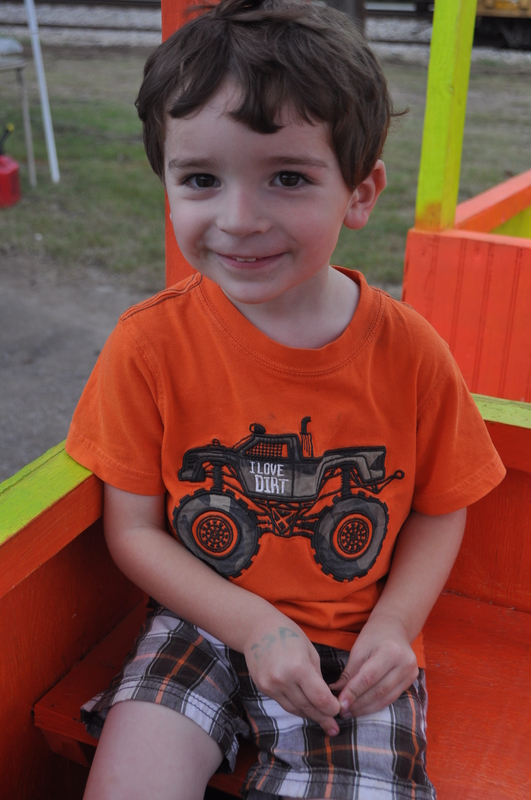 Hay ride! 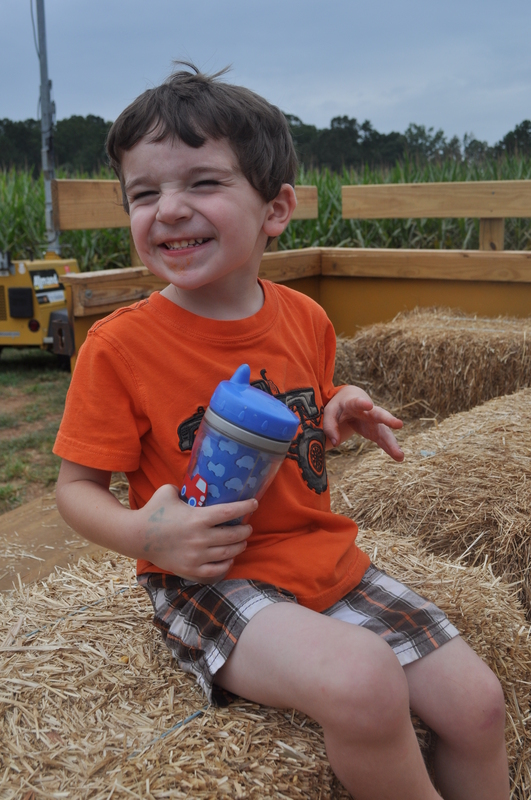 The tractor driver/hay-ride-tour-guide recited two poems during the ride he’d written himself. One was about a frog and one was about a bear. And that’s your random hay ride fact for the day. You know how kids love sand boxes? They also love corn boxes. 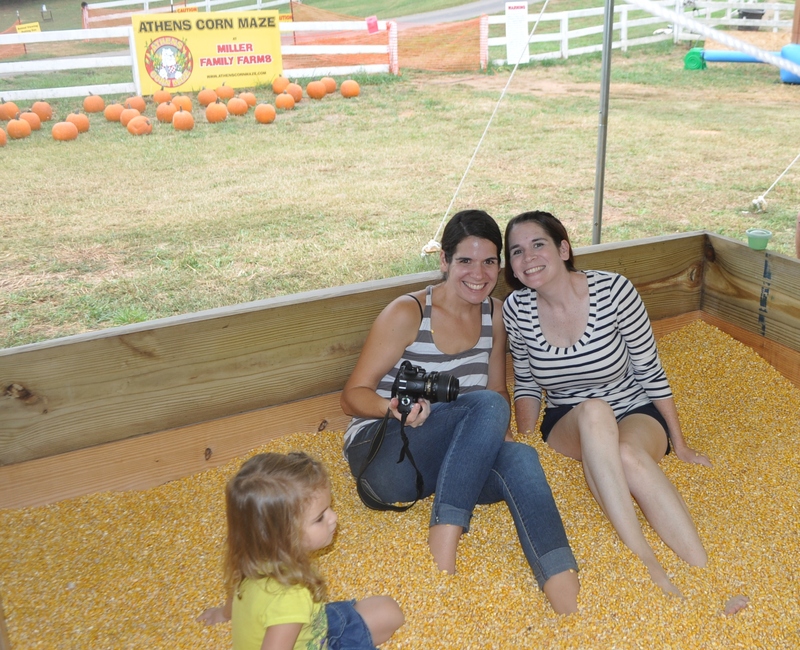 Sisters love corn boxes too. 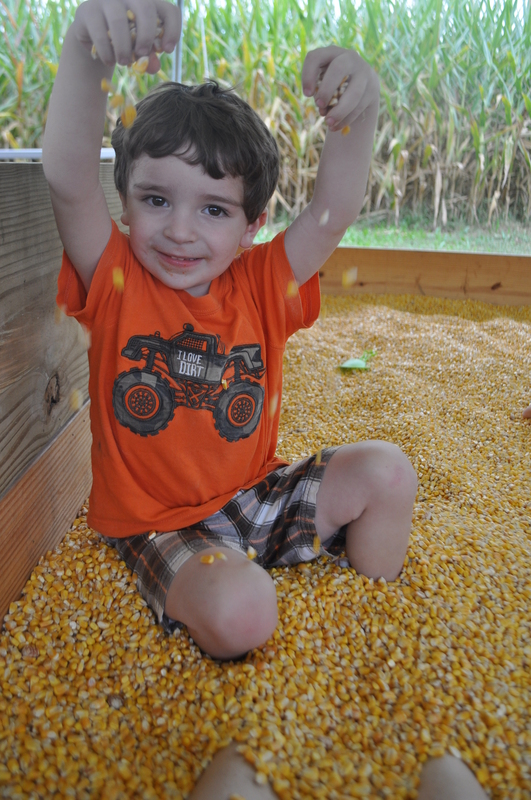 We loved the corn box. 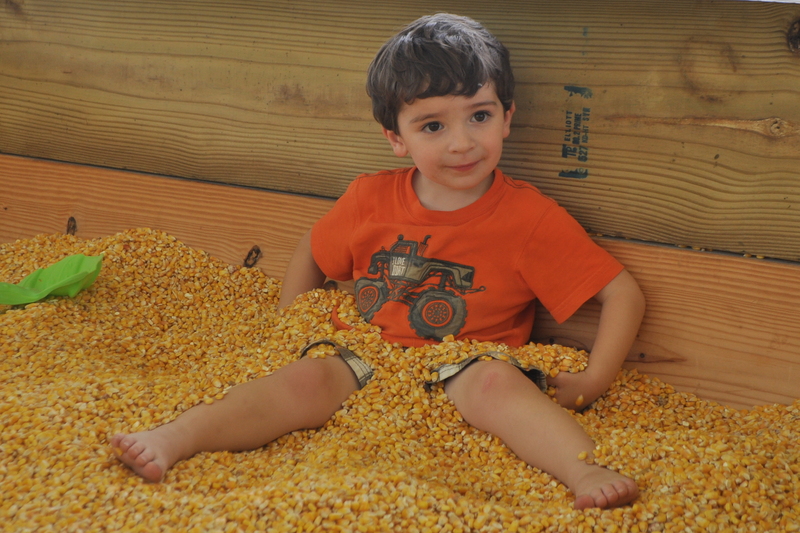 I wish I had a corn box. Seriously. 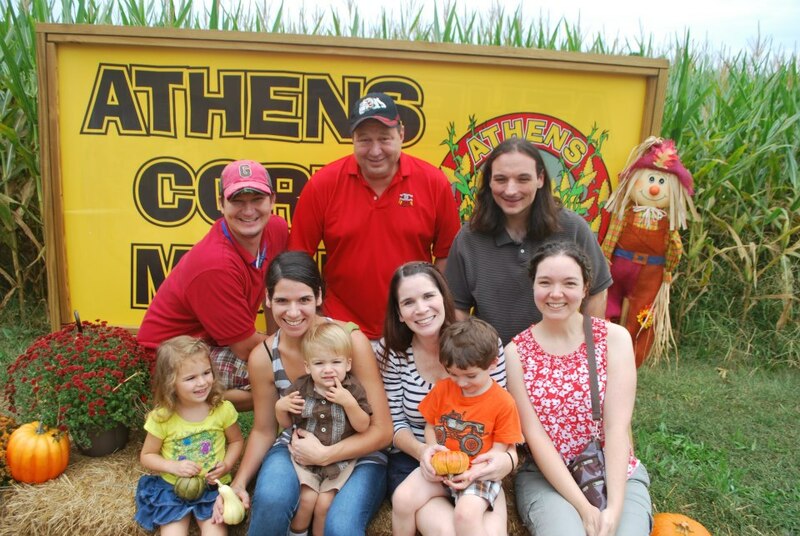 If you’re in the Athens area and want to have as much fun as we did, I highly recommend the Athens Corn Maze. 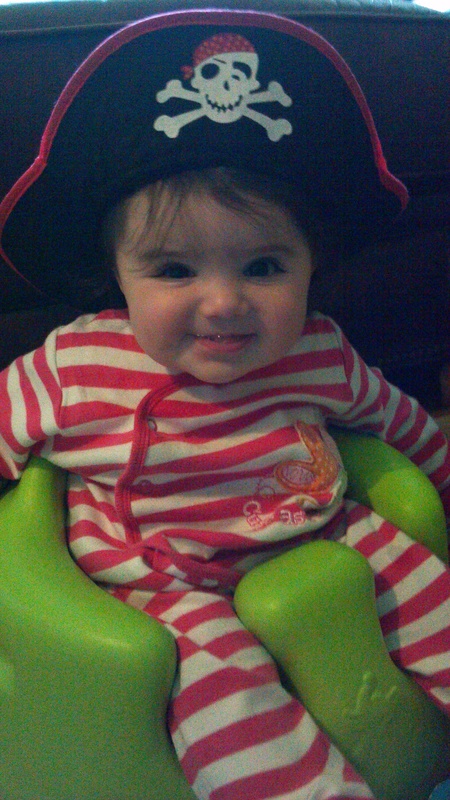 And my cute, happy little Alice has been sick for over a week! 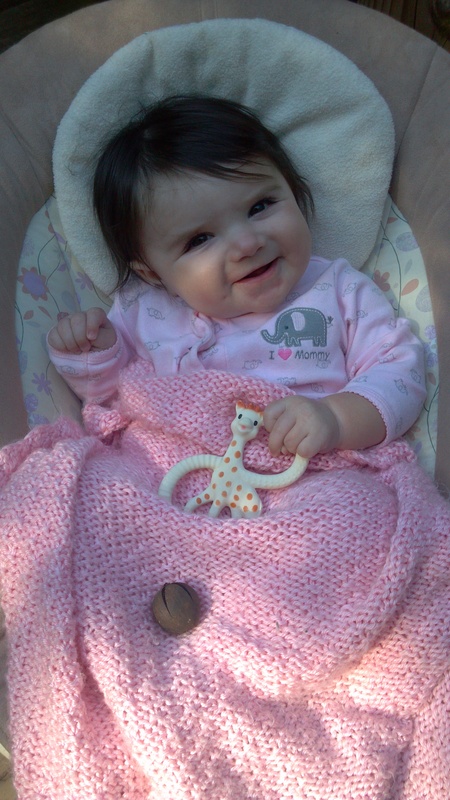 She’s still happy and pleasant and sweet — but with a terribly runny nose and a cough that sounds awful. So…we’re headed back to the doctor today. Have you ever seen a cuter sick child? 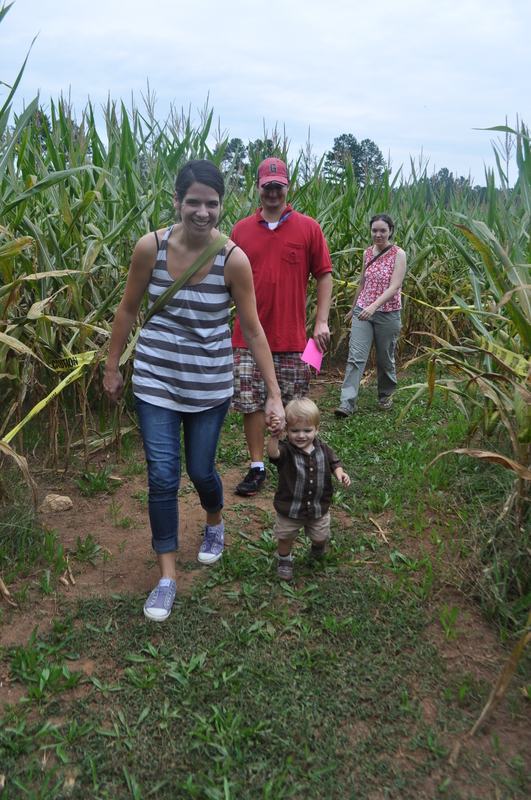 3 Responses to Bits: Corn Maze Edition. 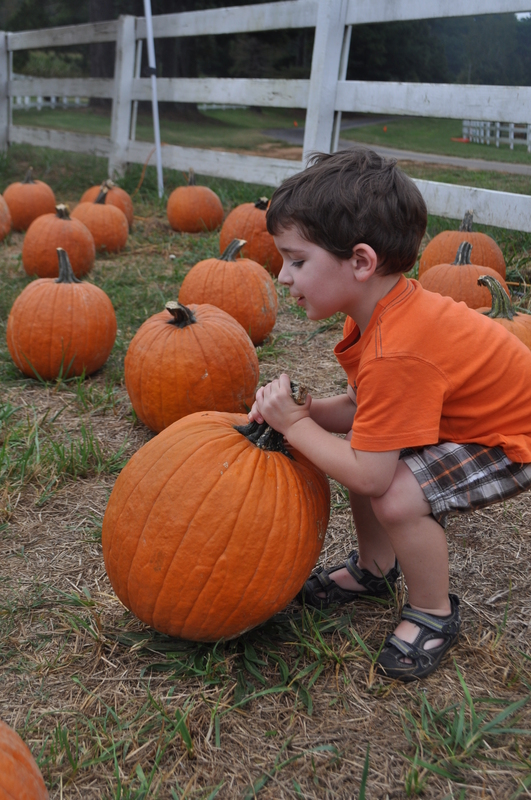 Fall is my favorite season too-I could go to festivals and pumpkin patches every weekend! This place looks fantastic. I hope Alice starts feeling better. 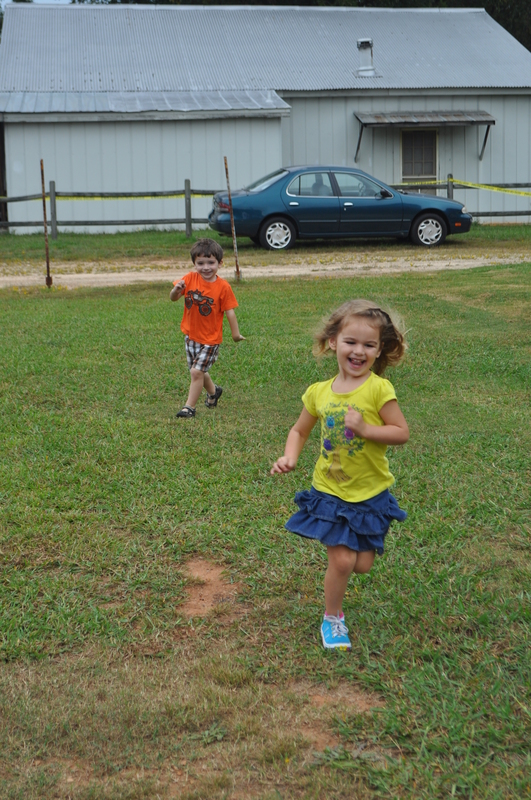 Next fall she will be able to join in on the fun! awwww…she’s a cute little sickie. This place looks great. 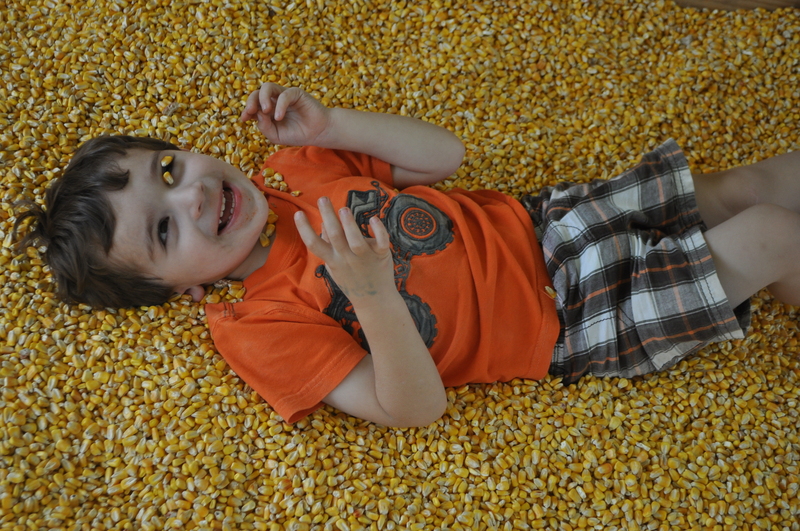 Love the corn in the eye picture. Love the picture of the sisters. Hope little Alice gets better soon – glad you got time with Tom. He looks like he had a blast with Matilda!